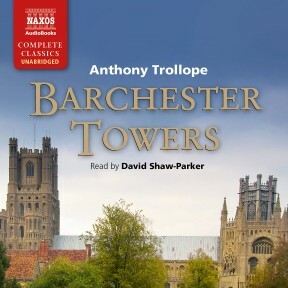 Barchester Towers, the sequel to The Warden, is the second novel in Trollope’s major series, the Chronicles of Barsetshire. 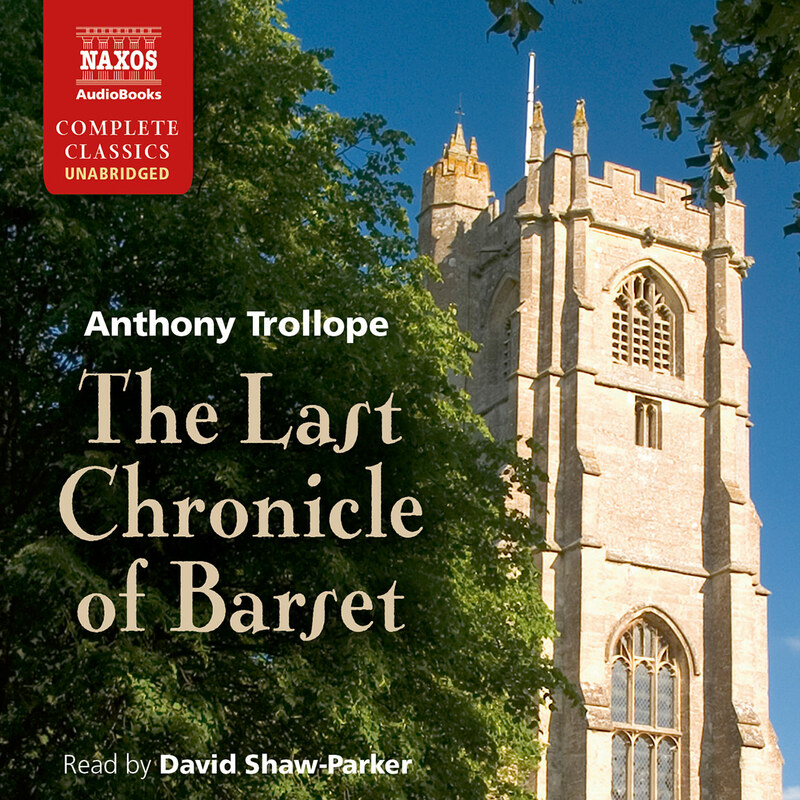 It focuses on the power struggle between Archdeacon Grantly, Mr Slope and the Proudies as they fight for control of the diocese of Barchester. Meanwhile, another struggle is taking place for the heart of Eleanor Bold. Who will win her? The vile Mr Slope, the idling Bertie Stanhope or someone else entirely? This is a witty and sparkling novel about greed, hate and love; Trollope captures the intricacy of human emotion and character with warmth, humour, wonderful characterisation and, of course, perfect dialogue. Trollope is one of our greatest comic novelists, as well as having an extraordinary talent for taking you confidentially and irresistibly into the flow of his story. Oblivious of the snail-like pace of Oxford’s flood-impeded traffic, I was grinning from ear to ear as David Shaw-Parker explodes into the clerical indignation that follows Obadiah Slope’s iconoclastic sermon in Barchester Cathedral. ‘“Abominable,” groaned the dean. “Abominable,” muttered the meagre doctor. “Abominable,” re-echoed the chancellor, uttering a sound from the bottom of his deep chest. “I really think it was,” said Mr Harding.’ Proof positive that Trollope wrote with an ear to being read aloud. 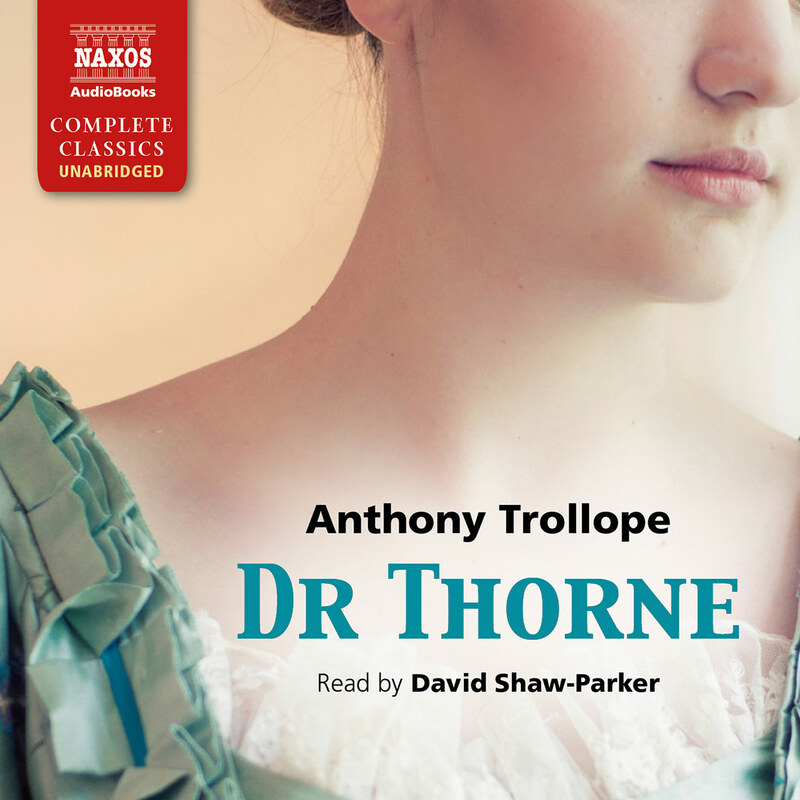 David Shaw-Parker’s exemplary reading of Trollope’s masterpiece is like sitting in your club in a comfortable chair after a good meal and listening to one of the particularly good-natured other members tell you a story about some people he knows. 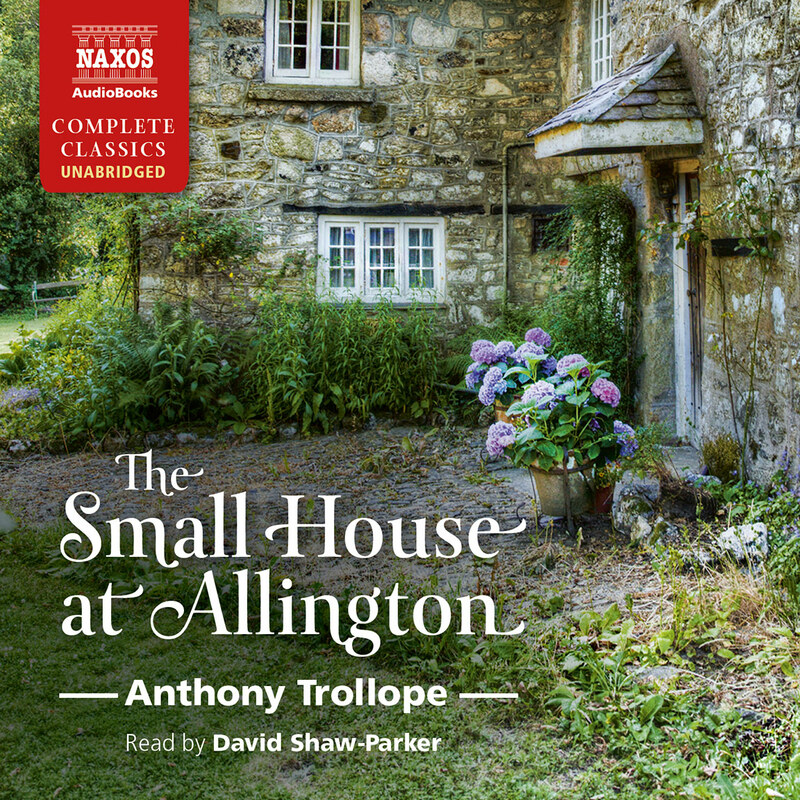 His tone is confiding and personal, perfectly capturing the spirit of Trollope’s narrative voice. There’s no attempt to impersonate characters; Shaw-Parker’s voice changes just enough that we are never in doubt who is speaking or what kind of person the speaker is. (The unctuous Mr Slope is particularly fine.) There are occasional peculiar changes in the sound quality for a phrase or two, but these are minor distractions from a charming and witty performance. 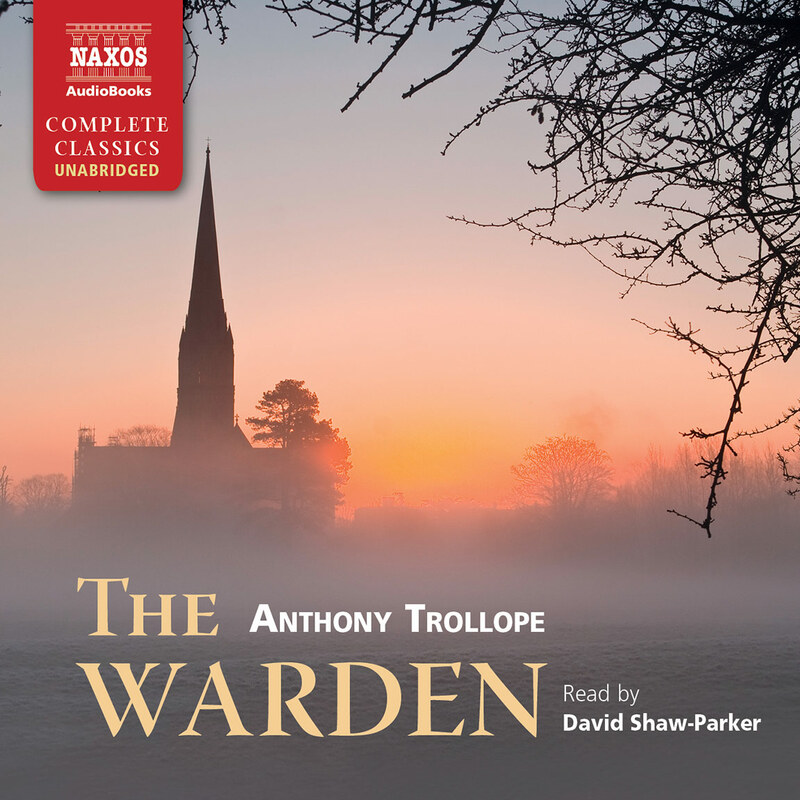 Shaw-Parker follows up his outstanding recording of The Warden (also available from Naxos) with an exceptional reading of the sequel, perhaps Trollope’s most beloved novel. Romance vies with church politics as Archbishop Grantly battles against the new bishop and his smarmy assistant for control of religious life in Barsetshire. 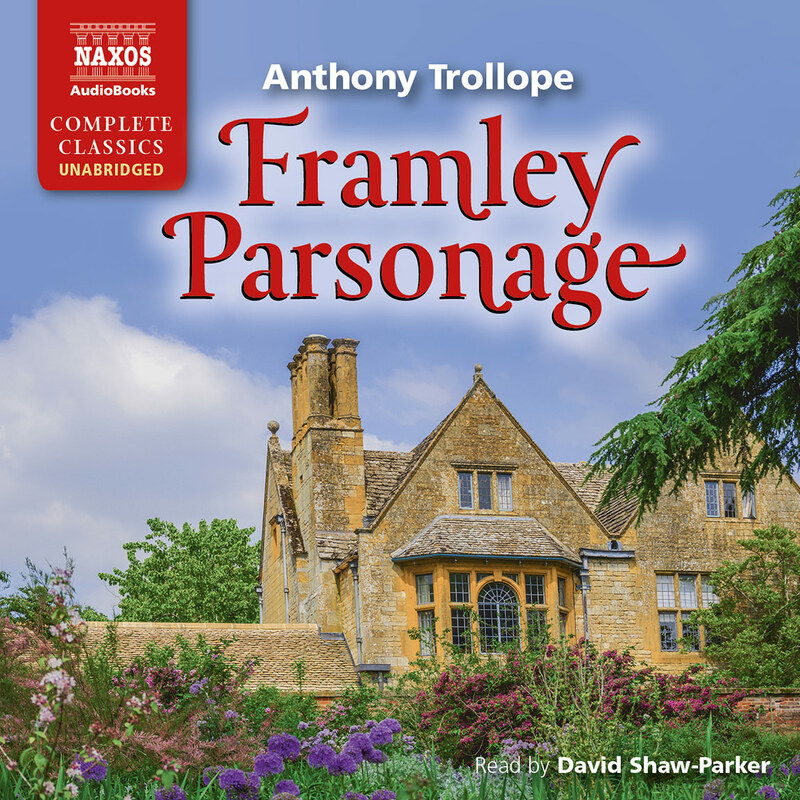 Shaw-Parker totally embraces his role as narrator, and in delightfully plummy tones, he guides listeners through the twisty plot, witty dialogue, and humorous asides. 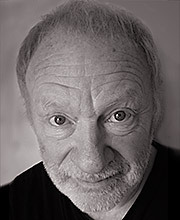 His animated portrayal of the large cast enlivens characters, from the poor pensioners to elite government officials. The narration highlights the strengths of this charming tale and, despite the novel’s size, makes this a compelling listening experience. It was in May 1852 that Anthony Trollope visited Salisbury. He spent some time strolling around the cathedral close in the warm spring evening, thinking what an attractive setting for a novel this place would be, and later, while standing on a little bridge over the River Avon and looking back at the town, there suddenly came into his mind the idea for The Warden, to be followed by several other linked novels portraying the private lives of the ecclesiastical dignitaries in this venerable, church-dominated city. His intention was to take the conventional image of this sleepy, unchanging society, whose conservative churchmen were pillars of respectability and privilege, and show its inner workings, its personalities and conflicts, especially under the impact of the new ideas which were then current in the Church of England. The religious or spiritual lives of these figures was, as he knew, secondary: their role and their interests were social and legal and economic, and this is what his novelist’s imagination would build on. In the first novel, The Warden, the plot centred on the scandal and the consequent reform of ancient charities, which now seemed to exist principally to provide idle churchmen with a generous stipend for doing nothing. The sequel, Barchester Towers, shows the fluttering of the dovecots when a new bishop is appointed to the diocese, and proves to be under the thumb of his domineering, evangelical wife. In both novels, political influences from London send their shock-waves through Barchester, so that, although they are primarily novels of comedy and character, these books may be thought of to some extent as Trollope’s ‘condition of England’ novels. In the 1850s the Church of England was subject to severe stresses from a number of different directions – from the Roman Catholic revival, from the Evangelical revival, and from Parliamentary pressure on the Church to reform the way it conducted its affairs, to give up some of its privileges and to mend its slothful conduct. The fact that the Barchester novels were written against this background reminds us of something distinctive in Trollope: other nineteenth-century novelists like Thackeray, Dickens, George Eliot and Hardy would frequently set their stories some thirty or forty years before they were written. They wished to look back a generation, and work out their themes with the advantage that hindsight gives, distanced from the life of the England in which they and their readers now lived. Trollope on the other hand wished to confront his own time, and to give his novels the texture of absolute modernity, with reformed parliaments, railways, telegrams, gas lights, national newspapers from London, and the mechanised farming which was arriving in the countryside. In Barchester Towers for example, real contemporary figures like Sir Robert Peel, John Henry Newman and the humorist Sidney Smith, and even Charles Dickens, are mentioned by name. This contemporary feel undoubtedly contributed to the novel’s runaway success, which made Trollope so famous that he became almost a national institution; yet the heart of the novel was its human comedy, here so evident and so successful that it can be seen as perhaps the quintessential Trollope novel. The plot describes nothing less than a civil war within the formerly quiet, dignified cloisters of Barchester. The unlikely revolutionaries have as their figurehead the new bishop, Dr Proudie, a timorous nonentity, behind whose throne the real power is his strident, tyrannical wife, a strict Sabbatarian whose aim is to rule the diocese for her puppet-husband; so ruthless is she that Trollope describes her as ‘the Medea of Barchester’. Her chief ally – at first – is the bishop’s sycophantic but calculating chaplain, Mr Slope, who turns out to have ambitions of his own, so that a war within a war develops between him and Mrs Proudie. The forces of resistance are led by Archdeacon Grantly, son of the former bishop, and married to the daughter of the original Warden. The scenes between Dr Grantly, Mrs Proudie and Mr Slope are among the most richly comic in Trollope’s fiction, and are heightened further by Slope’s adoration of the seductive Madeline Neroni, the crippled but ravishing beauty who brings a surge of exotic colour to Barchester. She is a living caricature of a scarlet woman, almost of the whore of Babylon, and her entire family adds a further outrageous dimension to the comedy. There are perhaps hints of Dickens’s influence in the picturesque symbolism of the names of the minor characters: Dr Fillgrave, the physician of Barchester; Mr Quiverful, with his fourteen children; Vellem Deeds, the attorney; Dr Highandry, the High Church clergyman; even the names Proudie and Slope are slyly satirical, while of course the newspaper, The Jupiter, stands for The Times – popularly known as The Thunderer. In its own day the comedy of the novel was entirely successful – John Henry Newman is said to have woken up laughing after falling asleep reading Barchester Towers – and it remains so for us today. The only unanswered question is what Trollope really intended by it: where did he stand on the ecclesiastical civil war which he portrayed? Did it matter if the Church of England was shaken by the interference of Parliament, or by the arrival of Proudies and Slopes in her ancient cathedral towns, or would it have been better if she had been left in her time-honoured slumber? We never find out explicitly, as we would have if Dickens or George Eliot had written such a book, but the whole tendency of Barchester Towers, as of The Warden, is deeply conservative. The reformers and newcomers in Barchester are universally satirised as they try to shake up the life of the clergy but invariably leave things worse than before. Trollope was astute enough to understand the current tensions within the Church, but he also believed that there was some inherent rightness and harmony in the traditional Church which should not be disturbed. In his anger at Mr Slope, Dr Grantly exclaims, ‘It is not the dissenters or the papists that we should fear, but the sect of canting, low-bred hypocrites who are wriggling their way in among us’. There you have the archetypal conservative who makes an absolute distinction between ‘us’ and ‘them’. It is not a matter of religion or intellect or principle, it is a matter of breeding, of what we might think of as the instinctive, genetic link between all true-blue English gentlemen, loyal to the Anglican tradition, who will unquestioningly resist the barbarians at the gates. ‘You must be aware Mr Harding’, drones Mr Slope, ‘that things are a good deal changed in Barchester. And not only in Barchester, but in the world at large. It is not only in Barchester that a new man is carrying out new measures and casting away the useless rubbish of past centuries. The same thing is going on throughout the country. New men, Mr Harding, are now needed, and are now forthcoming in the church, as well as in other professions’. This grating and depressing speech marks Mr Slope as a reformer, an interfering, self-seeking busybody, an evil agent of change, and of the destruction of all that was comfortable and harmonious in old Barchester. As soon as we read this, we know that Mr Slope must be marked down for inevitable defeat; Mrs Proudie it is true is successful for a time, but later in the Barchester series, retribution will overtake her too. Trollope was no philosopher, no social theorist, and no prophet; he was a humorist and a moralist, and his message emerges through the texture of the comic-realistic novel. The touch is light, all is tongue-in-cheek, and even for the Slopes and the Proudies he has an artist’s affection and delight. In the concluding chapter he remarks slyly that, ‘The end of a novel, like the end of a children’s dinner-party, must be made of sweetmeats and sugar-plums’. In other words, he must conclude the narrative according to Wilde’s great dictum: ‘The good ended happily, and the bad unhappily – that is what fiction means’. It was a formula which Trollope willingly embraced, and used to explore the great human comedy that was his chosen subject.